Passable tex-mex but there are many better choices in San Angelo. Margarita was just ok. It's from a mix. The interior wall of Fuentes' downtown restaurant exploded and left the building devastated. This Mexican food favorite is being remodeled and will include upgrades throughout. But don't worry, Mr. Fuentes says the enchiladas and tacos will be made with the old traditional recipe. Bad storms in Nov/Dec caused a building adjacent to collapse and damage Fuentes Cafe; however this allows for remolding and to reopen with good food and service. very good loved the food it was great .wonderful place to eat . well be back . I'm not going to lie I'd love to give this place a one star for being open the day I met my ex from hell but it's not their fault they deserve a five star for the tacos and cleanliness. It's what we ate. He bought me a taco. One. Taco. It was delicious and all I got was one. Damn. Taco. Always had excellent meals there and they make you feel like family 😘👍🏼♥️! My late husband loved their fajitas😍! when we first moved to San Angelo. it was the first mexican restaurant we took our family. love the salsas, white sauce, and the best margaritas in town!! can't wait to go back! Delicious Mexican food...best white sause in town! Very good chips and dip. Waitresses were attentive and our food was received in a great time. And the Margarita was awesome. Best place on town to get mexican cuisine. Nuff said. Great food, but like 99% of Mexican restaurants that claim to serve authentic meals... its not. Pretty standard texmex. Delicious salsa, yummy food, and great service! It's ok Mexican food in downtown San Angelo! Still Some of the Best Fajitas to be Found. this place is a little pricey (cheapest meal is like $7) but it's mostly worth it. pretty good enchiladas & quesadillas. The food is always great and the wait staff is friendly. This place has amazing customer service. I definitely would reccomend it for any dining occasion. Really good service and nice server! 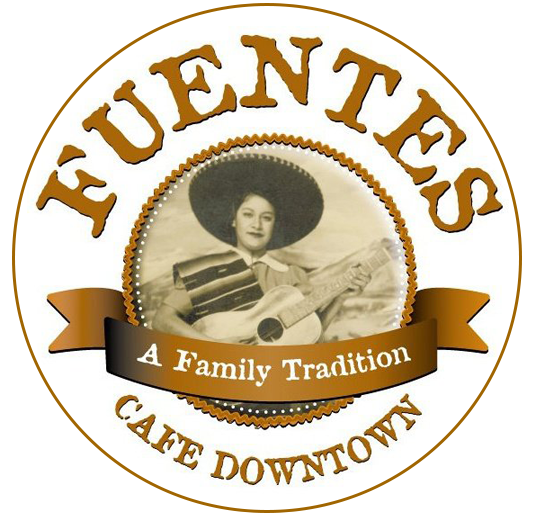 Both the food and service were excellent at Fuentes Cafe downtown. We will definitely dine there again. Awesome! The salsa (Texans seem to call it hot sauce) is the best in town, and the service is excellent. The staff is extremely friendly and accommodating. Their Chicken Calavasa dish is very tasty. It reminds me a bit of the hibachi chicken you get at Benihana, but with a slight Mexican tang. Great selection of food and beverages. Not your typical "Mexican restaurant." Large selection of different dishes as well as traditional expectations. Service was excellent all around! Yummy spinach enchiladas! And the fuentas sundae was delicious! Their salsa has great flavor and isn't too mild, so it's one of our favorites in town. and now that they serve white sauce, we will be going more often! Good atmosphere, as well. I can't get enough of the Iced Tea. I will choose to eat here based solely on that but I do love the lunch specials and always fresh ingredients. The dim-lit dining room on the left side is a big plus for my mother who has macular degeneration and has to wear sunglasses inside most restaurants. Slow service. We waited an hour to get salads then another 40min for the food. Martha is a ray of sunshine. She will help you get your day started on the right foot. Excellent Mexican breakfast. Word of warning - I ordered the sausage expecting chorizo. Nope- standard pro roll. Great coffee. An enjoyable and tasty dinner. I arrived at rush hour lunch time NEEDING A TABLE for 8. The owner and host never looked at me crazy, they assisted me as a guest in their home. Great Service ! Fast, friendly, good food. Great salsa!